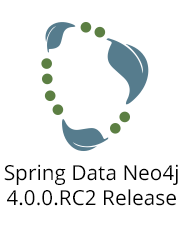 Today, we would like to announce the release of Spring Data Neo4j 4.0.0.RC2. The Neo4j OGM framework on which it is based is also in its second version, 1.1.1 As we get closer to general availability, we’re happy to report that a lot of progress has been made on stabilizing version 4.0. 4.0.0.RC2 now integrates nicely with Spring Data REST and Spring’s ConversionService. It also includes performance improvements around the Cypher queries generated by SDN and fixes many issues relating to the persistence of relationship entities, and relationships of the same type between entities. In addition, self relations (a relation from a node to itself) are now supported. The ability to execute Cypher statements that both modify the graph and return results is made possible via the Neo4jTemplate.query() method(s). The Neo4jTemplate itself can now be @Autowired without explicitly exposing the Neo4jOperations @Bean. If you haven’t tried out Spring Data Neo4j 4 already, 4.0.0.RC2 is a good place to start. The reference documentation is comprehensive, and there are quite a few example projects available as well. We strongly advise that you use 4.0.0.RC2 if you’ve been working with RC1 thus far. Thanks to all our users that have reported issues via Stack Overflow, the Spring Data Neo4j issue tracker or spring-data-neo4j@neotechnology.com – your reports and tests have contributed to the quality of this release. We would love to continue receiving feedback on 4.0.0.RC2. We want to make the final 4.0 release a really great one, and you can help us achieve that. Once again, we thank Oliver Gierke’s Spring Data Team at Pivotal for releasing this version. And finally, thanks to the team at GraphAware for their continuous effort developing and improving this product. 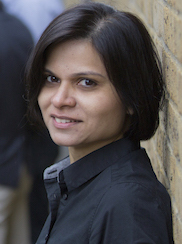 Ready to dive into Neo4j for the first time but don’t know where to start? Click below to register for one of our online training classes, Getting Started with Neo4j or Neo4j in Production and learn to master the world’s leading graph database. Based on your work sdn4-cineasts on GitHub I have developed a very similar project that adds new features. In particular the module ‘Neo4j driver (REST client API) for Node.js’ that allows me to initialize the database. Please’d want to take a look. You can find it in my GitHub repository GGSvennson you have on your list of followers.